“I joined the city’s mounting hiking and climbing group when I was 17. Then I started work as mountain guide, although I never thought this would be my full-time career. Now, I earn my living as a guide and co-founder of an outdoor company. When we decided to develop a zipline, we realized it was difficult as we lacked expertise or someone to advise on how to build it and make it functional. Swisscontact provided not only financial support but importantly, they arranged for an expert who provided professional advice on constructing the zipline and certifying it. As a result, the Kosovo zipline is the only internationally certified one in the Balkans. With Swisscontact support, we went on to construct a Via Ferrata, and now, our city has three such. We have succeeded in increasing the number of tourists who come specifically to try out the zipline and the Via Ferrata. We have created new jobs and have contributed to the economic growth of our city. 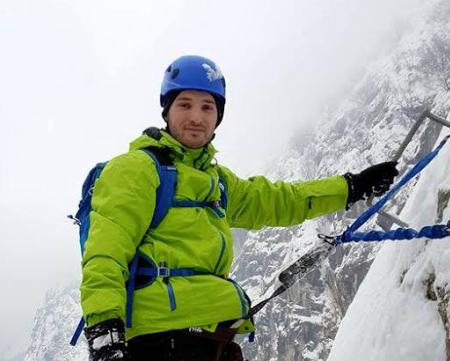 Swisscontact, keep up the good job and thank you!”, Nol Krasniqi.